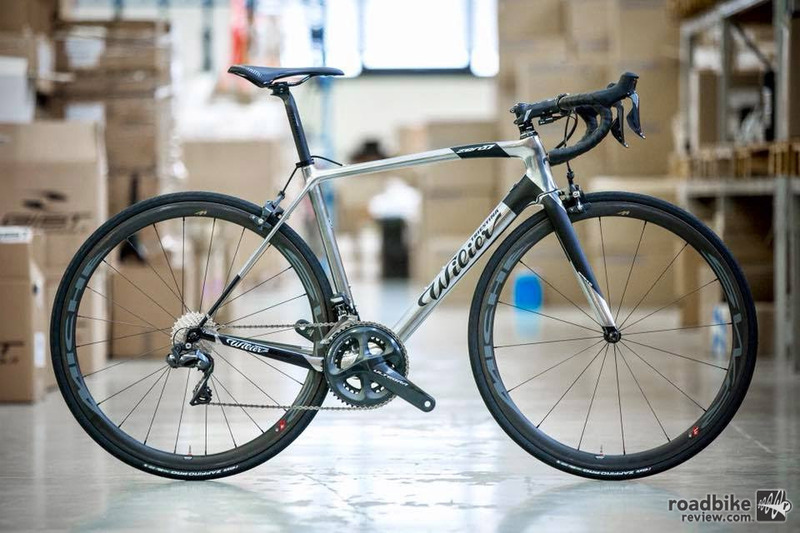 Building on the success of the Cromovelata finishes on the Cento10AIR and Cento10AIR Disc, Wilier Triestina has released a limited edition version of their climbing bike with a chromed silver and black finish. The Zero.7 Night Chrome Edition is available as a frameset only in the U.S. in limited quantities. Pre-orders are being accepted now with delivery in July. Retail price is $5299. Wilier pioneered the chrome plated painting procedure in 1947 when the ramato bicycle launched to great acclaim. The use of a galvanizing process was a first for the bike industry, and also required the first use of a clear coat on a bicycle to protect the finish. The original bikes were finished with gold decals painted by hand using a fine horsehair brush. The special finish was seen again in 2016 with the release of the retro inspired Superleggera. The Cromovelato finish was brought to the Cento10AIR road bike last year, tying Wilier’s history to its modern day race machines. 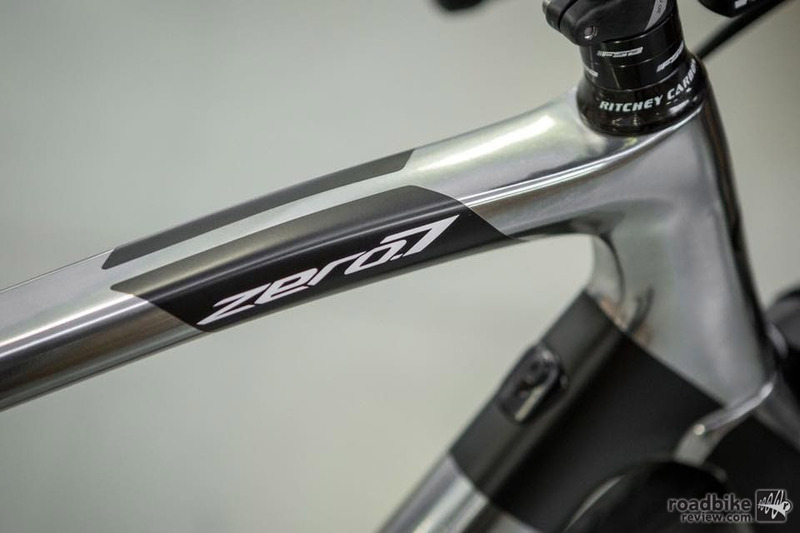 The idea for the Zero.7 was to answer the goal of setting a new design standard for lightweight racing bikes. The frame is claimed to weigh under 800 grams, but the technology applied to it differs from those normally used in this type of bicycle. 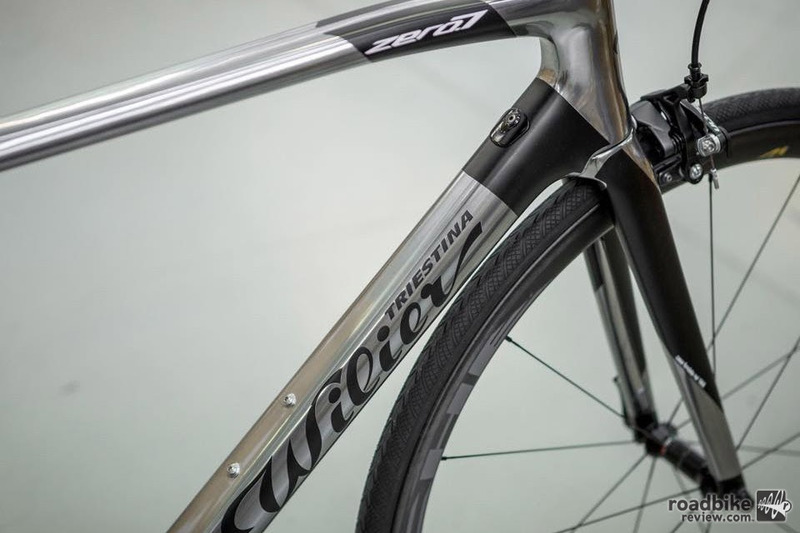 The team of engineers in Rossano Veneto applied technologies to the Zero.7 that were developed for the Cento1SR and Cento1 AIR: cable integration, integrated fork, and better aerodynamic efficiency to name a few. The most noticeable aspect of the new frame is the shape, featuring less volume than the previous version of the Zero.7. New construction techniques have allowed Wilier to reduce the volume of the frame tubes by 19 percent. However, the smaller diameter tubes have not reduced lateral stiffness or the safety of the frame. In the process of producing the Zero.7 monocoque frame, they use an internal liner made of a special thermoplastic material into which the bladder is then inserted. This internal liner helps create a uniform and equal pressure along the inner carbon walls of the frame. With this process, they claim to achieve total control over the thickness and smoothness of the frame walls. Thus the pressure exerted on the inside of the frame from the bladder is distributed equally over all points on the frame. 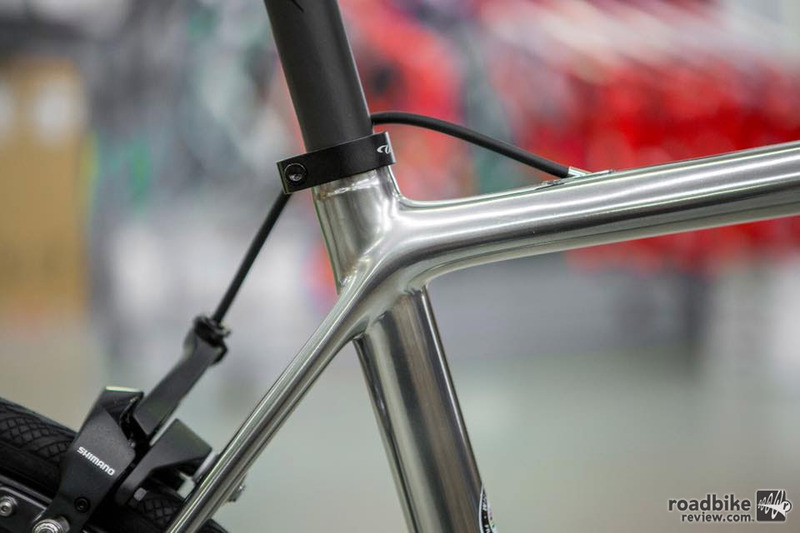 This construction technique allows them to give the frame considerable stiffness at the most critical points without adding carbon to these parts, keeping the frame ultra-light. To learn more spin over to wilier.com.